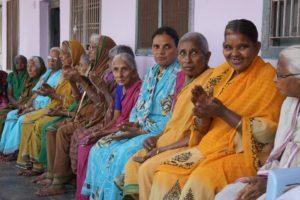 For the elderly of India, there is little in the way of a ‘safety net’ to provide care in their waning years. If an elderly person finds themselves without children or other family to take them in, they are at risk for homelessness and hunger. Fortunately, there are places to help — and our love to sustain them. 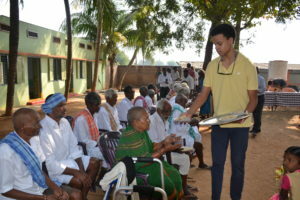 FOCI supports the Faith Home for the Elderly in the village of Gollapudi. The Faith Home for the Elderly provides shelter, food and a warm welcoming community for the men and women living there. There, they enjoy friendships, laughter, and the care for which they long. In the town of Bornakal, FOCI supports the Divya Daya Center, offering both residential care for the elderly, and daycare activities. Founded by a nun, Sister Chinnamma, who felt called to care for the elderly, Divya Daya is now run — with great compassion – by Sister Chinnamma’s brother.